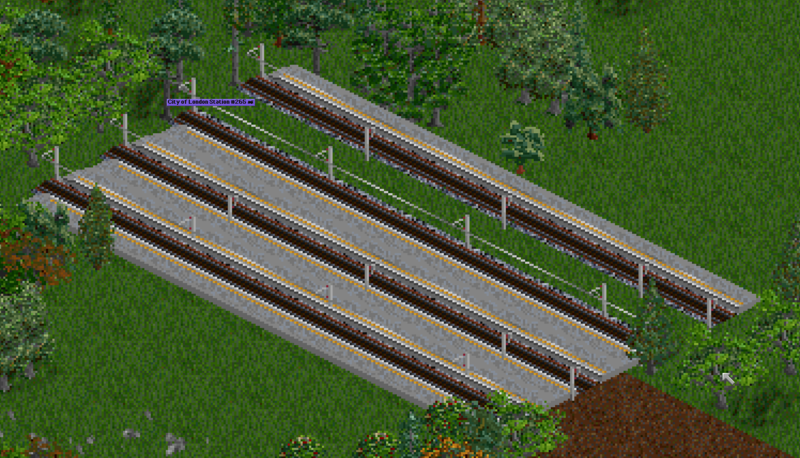 BRStations is a set designed to incorporate British Stations in full scale (allowing for correct platform quantity) into OpenTTD. First station im working on is Kings Cross. Furthermore, the shading of one of the sides of the ramps is different (for the 2-sided as well as the single-sided). Finally, is there a certain minimal version of OpenTTD set when you uploaded it to Bananas? I couldnt find the GRF ingame, but could download it when logged in to the Bananas section of the OpenTTD website and then could run it manually. Not sure what you mean about the missing drag and drop sprites, can you demonstrate? And bananas defaults to 1.6.0 minimum version, but that isnt hardcoded into the GRF itself. I realised what you meant now and i think ive fixed both errors. There is still a color difference though (but as I understand from Gwyds post, that may be worked on at the moment). Ah fair, what is the minimum version for 32bpp stations? 1.3? BRTracks i think i can downgrade to min 1.2, BRTrains has to stay as 1.6 due to custom sounds. As of OpenTTD 1.2.0, 32 bit graphics are supplied via NewGRFs. I understand now why Auz Stations is split into so many GRFs. There will be a BRStations (Steam Era) which will focus on pre-nationalisation station graphics. BRStations Add-On pack with a load of extra variants of non-track tiles, station buildings, etc. I though you had the platform colour too light but then I googled my local station and discovered your colouring was spot on. Perhaps the roofs could do with a tad more texturing? I agree with the texturing comment too. Just some 'noise' will help them blend in.